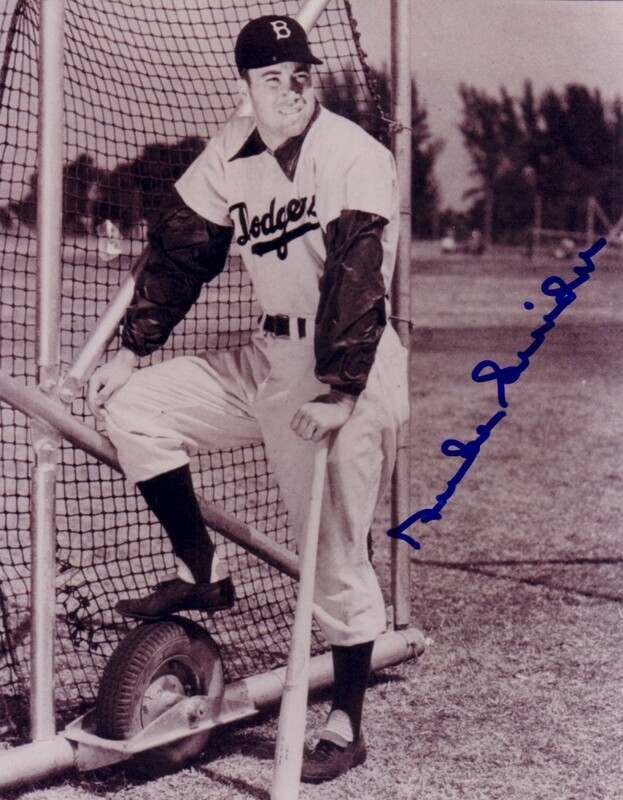 Classic 8x10 black and white batting cage photo autographed in blue marker by the late, great Brooklyn Dodgers slugger Duke Snider. ONLY ONE OF THIS POSE AVAILABLE FOR SALE. With certificate of authenticity from AutographsForSale.com.